Make sure your bowl and beater are clean and grease-free. Make them on a day with low humidity (no rain). Allow your egg whites to come to room temperature before beating them. Superfine sugar helps keep the meringues light and fluffy, but regular sugar works too. Preheat your oven to 200 degrees. Line baking sheets with parchment paper and spray with cooking spray. Sprinkle almonds on the parchment paper, spreading evenly. Set aside. 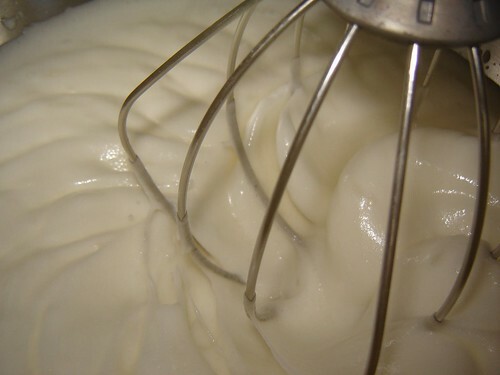 In a large electric mixer bowl, combine egg whites with cream of tartar and salt. Beat on high until soft peaks form. Next, while continuing to beat the mixture, gradually add the sugar, one tablespoon at a time. 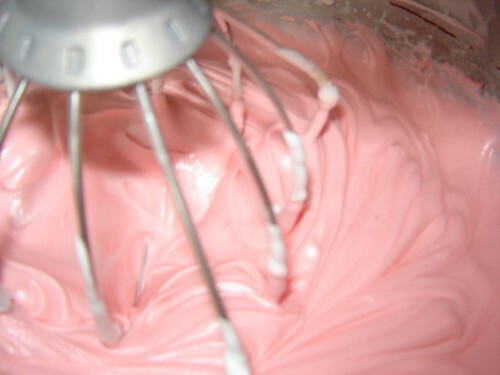 Mixture should become glossy and thick, forming stiff peaks. Add the vanilla and almond extracts and the food coloring, if desired. Using a pastry bag with a decorative tip, or just a zip lock bag with the corner snipped off, pipe the mixture into decorative shapes on top of the almonds. I made hearts and kisses for Valentine’s day, but you can also make other shapes. You can pipe baskets to be filled with mousse, ice cream, or other fillings. The possibilities are endless! 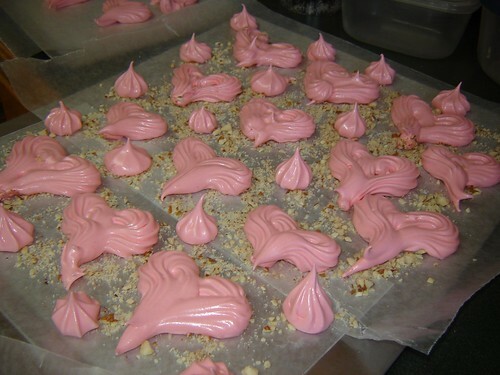 Bake for 1-3 hours, or until meringues are dried and firm. Cool on racks. Store in a tightly sealed container for up to a week, or freeze these little treats until you need them.